Boiledbeans » Check under the couch? So, as far as obscure questions go this one takes the cake. But it’s fairly workoutable and fair-fodder for Boiledbeans, so here goes. What’s so special about the circle? The source code for the original prince of persia. 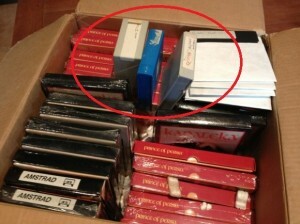 sealed originals of Prince of Persia and Karateka around it, maybe those disks in the circle have something to do with that. Are they the first copies of the games or something like that? The original Apple2 source code of Prince of Persia. PoP will be back in its original form as soon as Mechner figures out how to pull data off of the ancient disks and handle the 6502 processor code. Jordan Mechner, the creator of Prince of Persia, believes he has found the original source code for the Apple II game, which he previously thought to be lost. The original source code for Prince of Persia which was first written for the Apple II. 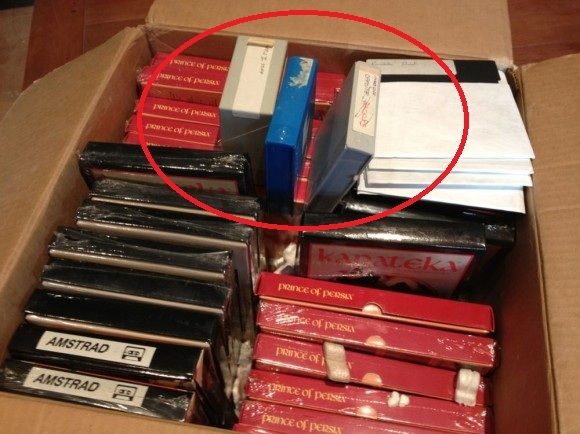 The games visible in the image (Prince of Persia and Karateka) were both made by Jordan Mechner, which gave me a big clue as to what to look for, and lo and behold, the same image is on his blog front page. lost prince of persia source code.. Original source code of Prince of Persia.